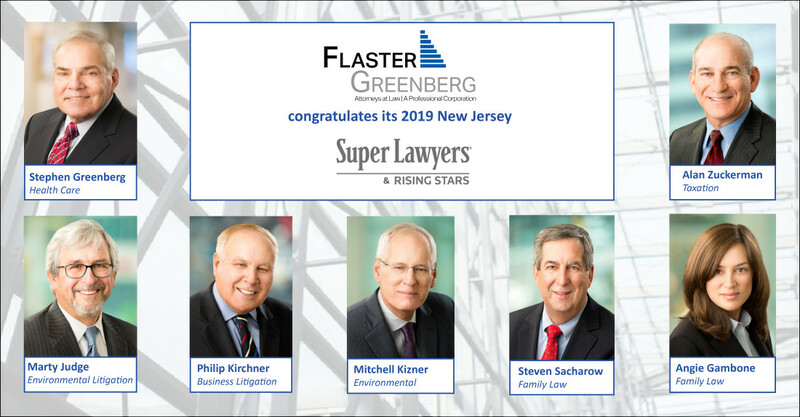 Seven Flaster Greenberg attorneys were named by Thomson Reuters, publishers of Super Lawyers magazine, as 2019 New Jersey “Super Lawyers” and “Rising Stars” for excellence in their areas of practice. Only five percent of attorneys in the state are named by Super Lawyers annually. The designation is granted to attorneys who demonstrate the highest levels of legal ability and integrity as determined by their peers and independent research. The multiphase research process, performed annually, consists of a statewide survey of lawyers, independent evaluation of candidates by the attorney-led research staff, a peer review of candidates by practice area and a good-standing and disciplinary check.